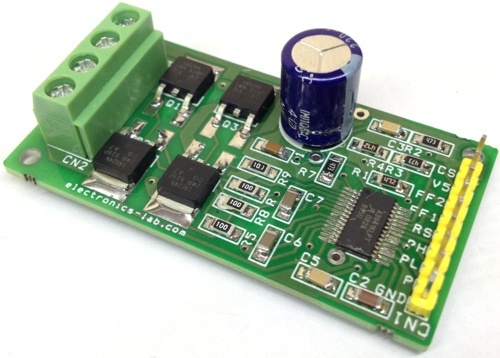 This multimeter was designed to measure output voltage and current in a PSU, where the current sense shunt resistor is connected in series with load at the negative voltage rail. It needs only one supply voltage that can be acquired from main PSU. An additional function of the multimeter is that it can control (switch on and off) an electric fan used to cool the main heatsink. The power threshold at which the fan switches on can be adjusted using One Touch Button Setup. Bellow you can see the multimeter schematic. There are some components in the parts list marked as “Do Not Assemble”. That components was needed in a previous software edition. Current software version doesn’t need them, so you just don’t add them. 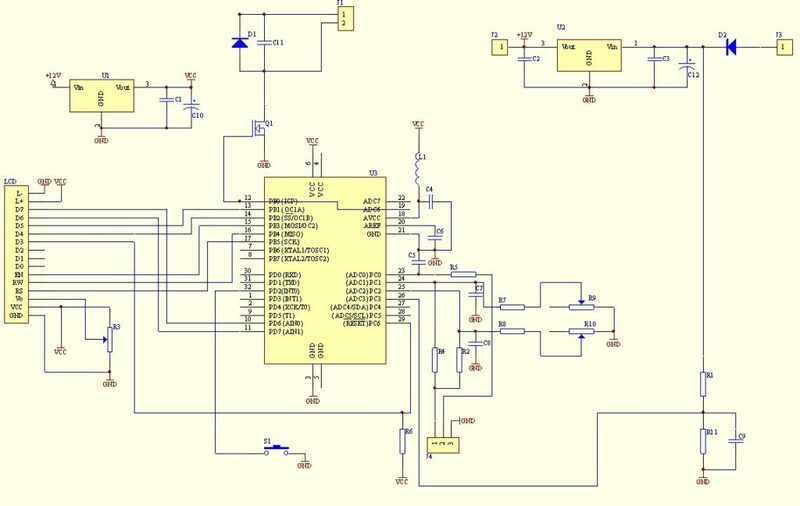 Maybe in a future version of the multimeter there will be a simpler PCB with simpler electronic diagram too. PCB files are available on the download section below. There are two version of PCB – normal and mirrored. I think, that anyone who makes PCBs will know which one should be used to produce right PCB. 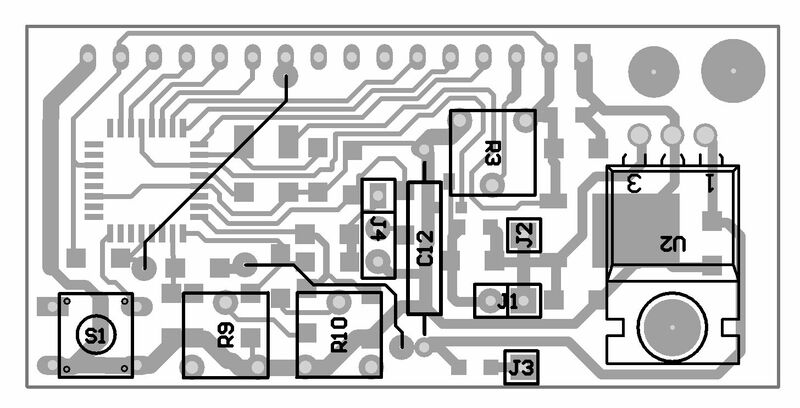 make two cross connection on PCB (see “Layout – bottom side”). After connecting uC to prog, you should check, if uC is “visible” for prog. When everything is fine, you can upload code to uC. The code is available >here< .It is assumed that uC is new and works with its internal RC clock at 1MHz. If not, set appropriate fuse bits to achieve above mentioned conditions. In addition Brown-out detector should be turned on by enabling BODEN fuse. Recommended Brown-out Reset Threshold Voltage is 4V. The next thing to do is to cross LCD soldering pads number 1 and 5. 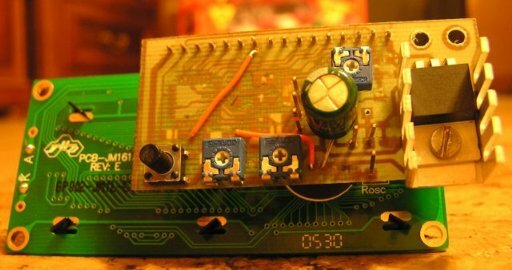 That’s necessary to provide ground for LCD RW signal. 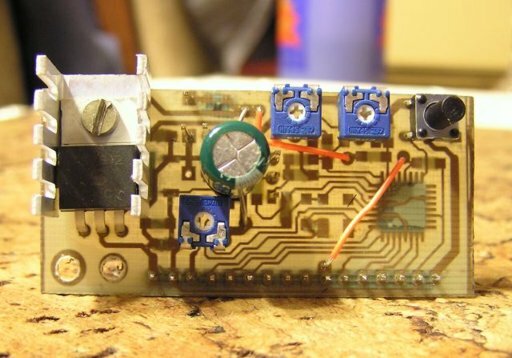 After all, connect LCD module with the multimeter PCB. It is recommended to use a detachable connector for further expandability e.g. software upgrading. When pushing this button the shunt resistor value appears. 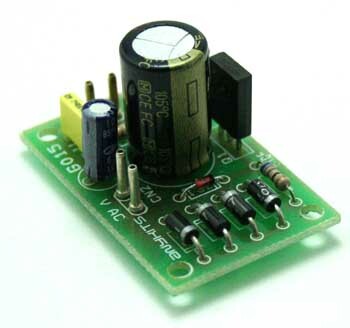 If the resistor value is known, repeat button pushing until correct value reached. If resistor value is unknown (e.g. 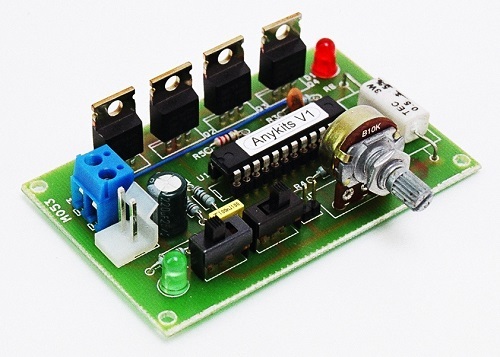 self made resistor), short PSU output by ammeter, set some current by PSU current limit regulator and then, push button, lead to equal current indication on ammeter and multimeter.After resistor value setup, button must not be pressed for about 5 seconds. The next parameter to set up is fan switch-on power threshold. It is not the real power loosed on output transistor (transistors), because multimeter has information on voltage drop on transistor and driving current. To avoid instability switch-off threshold is automatically set to 20% less than switch-on one. If +12V DC is available in your PSU, connect it to that pin. In that case you shouldn’t assemble +12V voltage regulator U2 on PCB. If you haven’t got +12V DC in your PSU, left that pin unconnected. 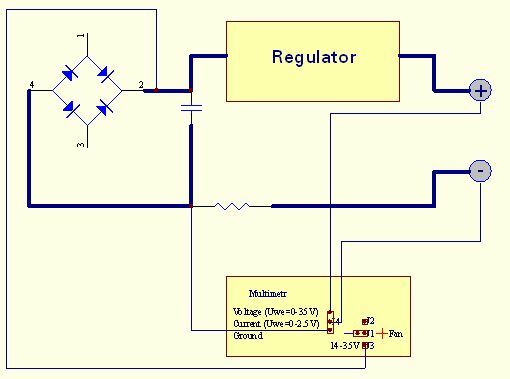 Rectifier bridge voltage. See U2 element you used data sheet to know about maximum voltage it can work properly. On the other hand the minimum voltage on that pin mustn’t drop bellow c.a. 9V, or 6.5V if low drop type U2 and U3 voltage regulators were used. Multimeter is suitable for voltage and current measurement in PSU, where current sense shunt resistor is connected in series with load and is in negative rail.Pin no.1: voltage measurement U – connect to “+” PSU output, best directly to output terminal;Pin no.2: current measurement I – connect to “-” PSU output, best directly to output terminal;Pin no.3: ground – connect to shunt resistor terminal opposite to that connected to “-” PSU output. – use low speed, low current fan. Additional advantage of that solution will be silence. This circuit itself doesn’t work off the mains and there are not 220 VAC present, but PSU does. Hello! Can you give me code in text? 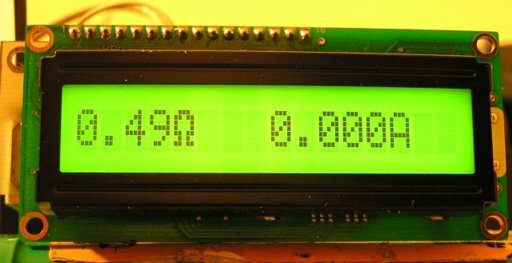 because I’m new with atmega, I need to understand the code so I can write a few changes output in LCD. Thanks.